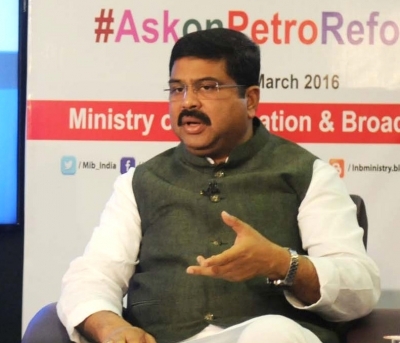 Bhubaneswar, Oct 7 (IANS) Union Petroleum Minister Dharmendra Pradhan will lay the foundation stone for a Rs 1,000 crore ethanol bio-refinery plant in Odisha’s Bargarh district on October 10, an official said on Sunday. State-run Bharat Petroleum Corp Ltd’s Bargarh plant will be the first of 12 such second-generation ethanol bio-refineries the government aims to set up in the country. The refinery will have an annual capacity to produce three crore litres of fuel-grade ethanol using rice straw as feedstock. The ethanol thus produced will be blended with petrol, BPCL’s Chief General Manager (Biofuels) Sanjeev Paul said. The state government has already handed over 58 acres of land for the plant and the project is expected to be completed by December 2020, Paul added. The government aims to promote blending of ethanol with petrol in order to cut reliance on imports of the fossil fuel, which is a drain on India’s foreign exchange reserves. The Bargarh plant is based on zero-liquid discharge technology, where all the water will be recycled back into the plant, said BPCL’s Debashis Palit, State Head, Retail (Odisha and Jharkhand).